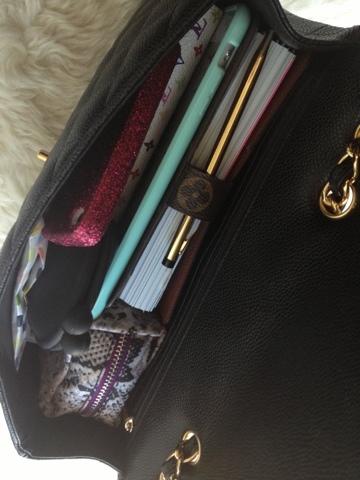 EllandEmm Style Story: What's in my bag! 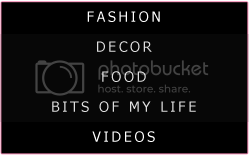 Something about the "what's in my bag" posts/vlogs are so interesting to me. 1.) Chanel Bag Jumbo size in caviar leather and gold hardware. 2.) Ipad mini in white. Case was purchased on ebay, just search "mint ipad mini case". 3.) Tissue pack - forever21. 4.) Black coin purse - Ulta. 5.) Louis Vuitton multicolor Sarah wallet. 7.) Louis Vuitton Agenda MM (6 ring medium agenda). 8.) Snakeskin makeup bag purchased at Target. I love what's in my bag posts too. I think it shows how women everywhere are getting through their daily lives, and how we're the same but so different! All of your items are so fun! Love the contents of your bag! Where do you buy your agenda refills?